Calling all musicians and singers! Hamilton is celebrating World Music Day on Sunday, 19th June. There will be free concerts and performances at multiple venues. Gerry Clark is organising venues for musicians to play at, such as Centreplace, Civic Square, Garden Place, Westfield Shopping Centre, Victoria Street cafés, churches, etc . As part of our week of celebrating the French language we have put together a number of French Music Playlists on Spotify. Check them out below and subscribe to them for easy access to some french language sounds. Hamilton is celebrating this international festival on Sunday, 19th June. There will be free concerts and performances at multiple venues. Fête de la Musique, World Music Day - is a celebration of music, which was first started in France, but now celebrated throughout the world. It is above all a free popular fête, open to any participants (amateur or professional) who want to perform in it and allows the expression of all genres of music in a cheerful atmosphere. Its purpose is to promote music, especially the performance of music, the slogan Faites de la musique (Make music), being used to endorse this goal. The Alliance Française de Hamilton supports this event and encourages musicians to enter into the spirit of it by getting out and playing music around the city. To help this happen, Gerry Clark is organising venues for musicians to play in public, such as Centreplace, Civic Square, Garden Place, Westfield Shopping Centre, Victoria Street cafés, churches, etc . Small groups who don’t need much room can organise their own place to play. Gerry is coordinating and looking for anyone who can play a musical instrument and/or sing. 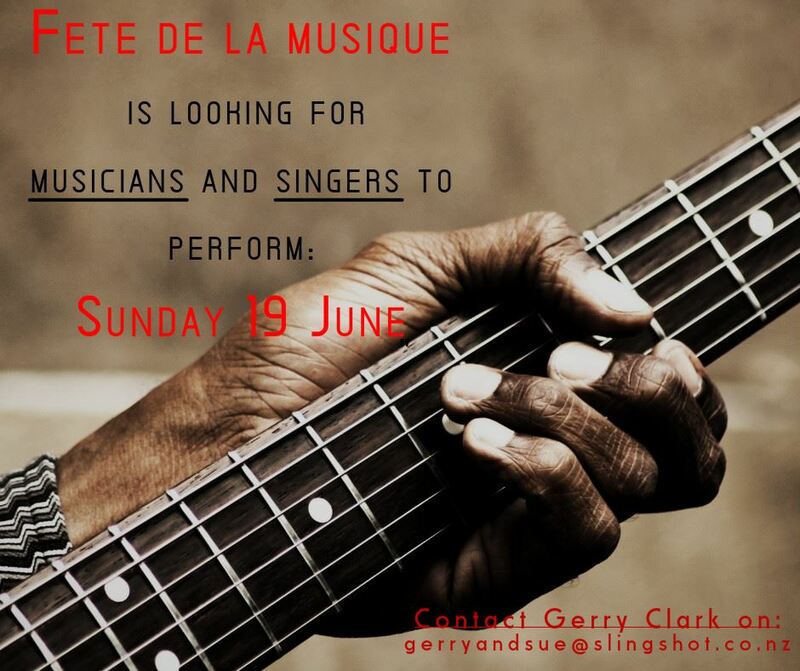 If you would like to play at our Fête de la Musique, or know anyone else who would like to, please contact Gerry Clark at: gerryandsue@slingshot.co.nz. It would be fabulous to have as many performers as can be catered for at as many venues as possible. Remember, it is all about the celebration and enjoyment of music. Let’s have fun making music together. This year we have added a French conversation class, which has proved very popular. It is for people who want to practice and improve their French through teacher-led discussion of everyday subjects such as the economy, society, politics and culture. We have opened six classes taught by Cherie, Leïla and new teachers Elodie, Camille and Louise. It’s a young and dynamic team which is adapting to students’ needs. For the first term we have a total of 47 students enrolled. It’s a real pleasure to see so many people have an interest in French language and culture and we hope this figure will increase throughout the rest of the year. This year we made registration easier, with a new online registrations process on our website that makes it simple to register for a class in just a few minutes. 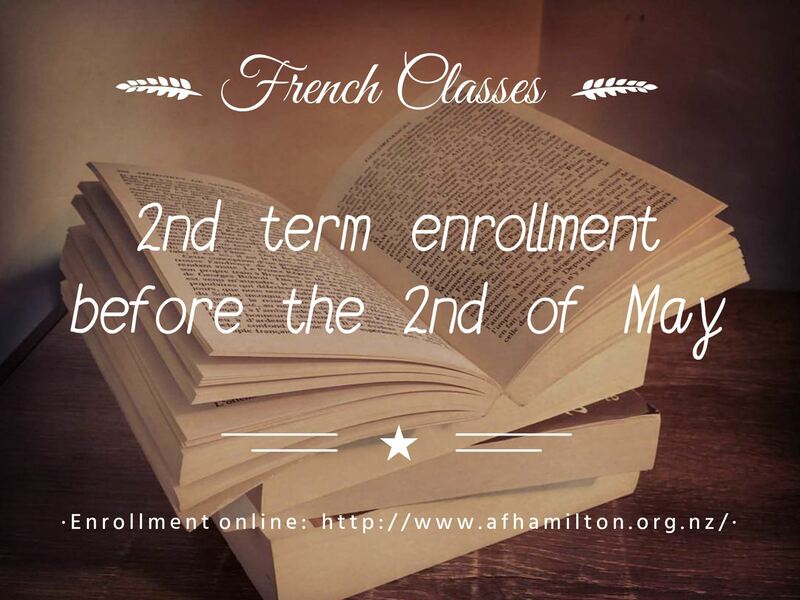 This year each student also automatically becomes a member of Alliance Française de Hamilton. This enables us to organise more events for students and allows them to join our events – a good way to be included in French culture and improve their French! All our class take place at Wintec’s A Block in town. They are: beginners (level 1) taught by Cherie, two classes of post-beginners (level 2) by Elodie and Leïla , intermediate (level 3) with Camille, conversation (all levels) with Leïla and Camille. Speak French on a Tuesday afternoon! Are you free on a Tuesday afternoon? Are you keen to practise/use your French over a cup of tea or coffee (or something else) in pleasant surroundings? 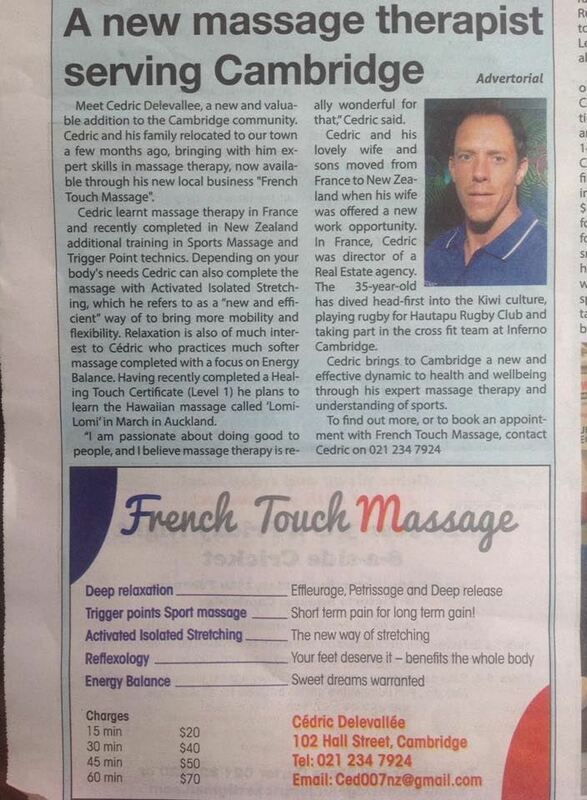 Then come along to the French Tchat every second Tuesday from 2 to 3 pm at the café St Lazarre in Casabella Lane. This Tchat has been going since 2014 as an alternative to the intermediate-to-advanced level French Tchat at the Lido on a Friday evening. It is aimed at people who find it more convenient to meet during the day than in the evening and is for all levels of French – the only rule is that you must speak French. And of course native speakers are especially welcome. If you sign up to Meetup (www.meetup.com) you will be reminded when it is on, and find out some of the people who plan to attend. Don't be put off, though, if it appears there will be only one or two people attending, as many of the regulars do not post a message on Meetup. However, we do encourage people to use the Meetup site so that we can get a better idea of who will be attending each time. The French Tchat is an opportunity for native French speakers and French-as-a foreign-language speakers to meet and chat in French in a relaxed, friendly environment. To keep the conversation flowing, we suggest that members can speak French at an intermediate level or higher. Every two Friday, 6.30 – 8.30 pm at the Lido Cinema Lounge, Centre Place. Its purpose is the same – to speak French in a relaxed and friendly environment. We are fortunate to have an ingenious lady, Clare Coulson-Dalton, in our midst who has set up the French “Tchat” event on: http://www.meetup.com to help attract more people. It is a well-known website for people to look for groups with similar interests, so this should make it easier for people in Hamilton to find us. Please visit this page for any more information. This is certainly wonderful for our Alliance française.